The main aim of this paper is to point out that the agent cooperation based on supervision can be utilized also in crisis situations. The approach is applied to an evacuation of an endangered area (EA). The supervisors for agents modelling crisis situations are synthesized and presented here. This makes possible not only the agent cooperation in itself but also to check the evacuation process and guarantee full evacuation of people from EA. 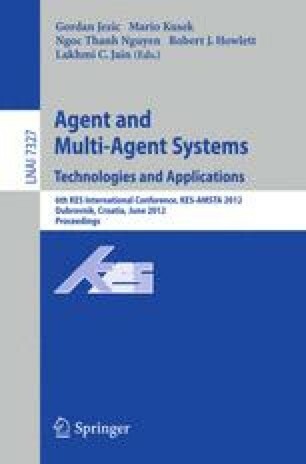 Place/transitions Petri Nets (P/T PN) are utilized in order to model the elementary autonomous agents being modules of EA. The supervision of agents is based on the DES (discrete-event systems) control theory. It is realized by means of known DES supervision methods. The proposed approach is illustrated in details on the supervision-based cooperation of agents in a case study of evacuation. The corresponding evacuation workflow is proposed by means of PN too. Moreover, the supervision is applied also in case of the workflow.